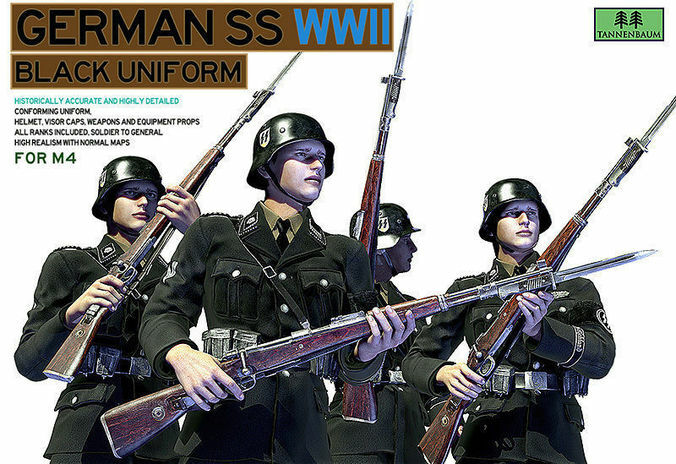 Historically accurate and highly detailed conforming uniform, with all equipment and headgear included to reproduce the german SS black uniform of World War Two, of any rank, enlisted soldier to general officer. Made for Poser and DAZ Studio. Compatible with Michael 4 DAZ figure. 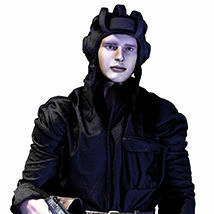 Could this model be animated and used in an FPS game, Tannenbaum? I apologies in advance for having no knowledge in this area. Well modelled and historically accurate German military uniforms. Each uniform item is a separate object and texture which allows one to mix and match as desired and create several variations. I purchased every uniform set he has created. Great work.